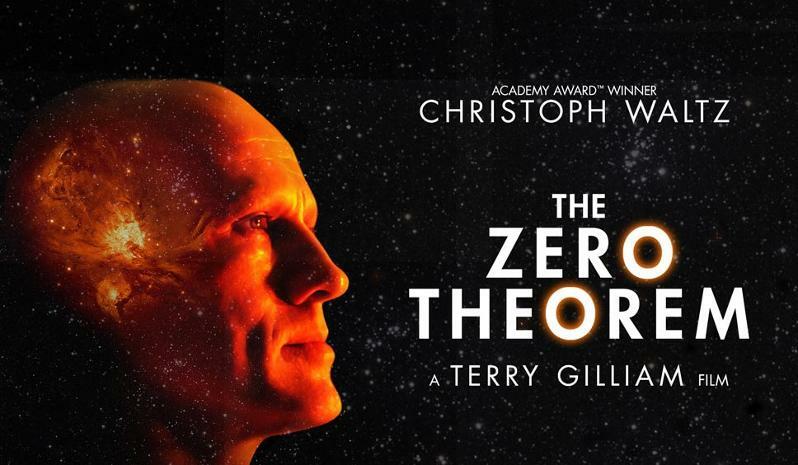 If you sat scratching your head at Terry Gilliam’s "Brazil" and "Twelve Monkeys" then you're not going to be impressed by his new film "The Zero Theorem". Gilliam has described the film as the third part of a satirical dystopian trilogy that started with "Brazil" and continued with "12 Monkeys". If you've seen either of these films you'll know pretty much what to expect. Gillian's world is an Orwellian hell populated by the bizarre and the mad. The plot or what I could decipher involves Qohen Leth (Christopher Waltz), a mentally unstable individual who spends his days sitting at a computer, crunching data for some shady company called Mancom. Leth is fixated on his chronic illnesses, and is also waiting for a mysterious phone call. All he wants is to be allowed to stay away from the office and work from home where he can wait for that call. This fixation leads him to the attention of the Management (Matt Damon in cameo mode and the worst Zebra suit that you will ever have seen) who grants him his wish on the condition that he work on the hardest problem the company has ever faced, proving the zero theorem, a theorem that could provide the meaning of life, ( confused ?). Throughout the rest of the film, Qohen struggles against solving this meaning of life equation and in the process confronts his own joylessness with a little help from a teen genius (Lucas Hedges) and the scantily clad company-employed call girl called Bainsley (French actress Mélanie Thierry). After a virtual world affair with Bainsley, Qohen heads to the depths of his imagination and it is at this point that his life starts to change in unpredictable ways. As always with any Gilliam film we are introduced to a host of weird characters and wonderful visuals. His films are either something that you love or hate and if you can put yourself into his mind (which must be a bizarre place indeed) then you will love Theorem. For the rest of us he is a man who works on the edge of madness and like me you just might wonder what the hell is going on.